GENEVA, Switzerland, October 8, 2013/African Press Organization (APO)/ -- The Ministry of Health of Cameroon carried out a yellow fever mass vaccination campaign with a reported 94% coverage of the targeted population of 663 900 in 13 health districts considered to be at high risk of yellow fever. The vaccination campaign was carried out between 27 August to 1 September 2013 in the Littoral Region, following laboratory-confirmation of two cases with yellow fever in the area in April 2013. The index case was a 43-year-old woman from Ndom Health district who became ill on 15 March 2013. The patients were laboratory confirmed at the Institute Pasteur of Cameroon by IgM ELISA (antibody) test, which was followed by the seroneutralizing test (PRNT) for yellow fever by the Institute Pasteur in Dakar, Senegal, a WHO regional reference laboratory for yellow fever. 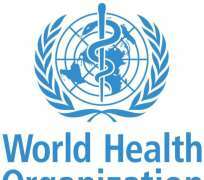 WHO country office has been working with the health authorities in the field investigation and response to the outbreak. There is ongoing surveillance for yellow fever in the country.